We have developed and offer for free use a wide variety of software and other tools to support the design and operation of energy-efficient buildings. General overview of tools, guides, and software developed by the Building Technology and Urban Systems Division at LBNL. A software environment that allows expert users to rapidly couple different simulation programs via middleware for co-simulation, and to couple simulation programs with real time data from testbeds or operating buildings. BEDES is a dictionary of terms and definitions designed to facilitate the sharing of building characteristics and energy data among data collection and analysis tools more easily, consistently, and at lower cost. 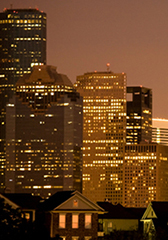 The Building Performance Database contains anonymized whole building measured energy performance data on over 1 million commercial and residential buildings. It includes an Application Programming Interface (API) that allows to create third party applications using BPD data. 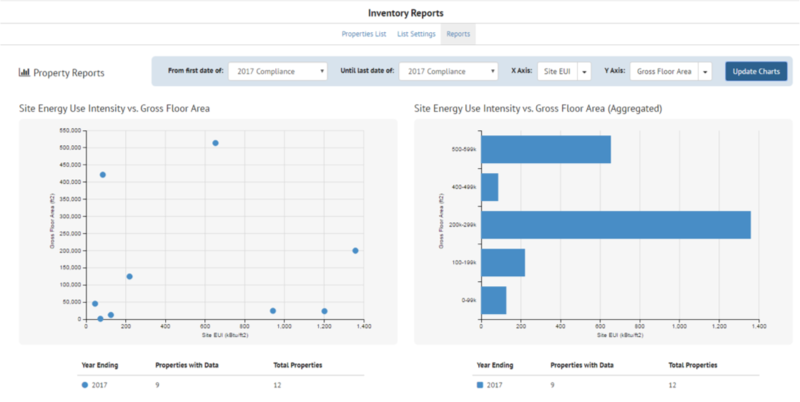 CBES is a web-based energy retrofit analysis tool for small-to-medium-sized commercial buildings in California. CBES provides energy benchmarking and three levels of retrofit analysis considering the project goal, data availability, and user experience. CBES offers 82 energy conservation measures (ECMs) for lighting, envelope, plug-in equipment, HVAC, and service hot water retrofit upgrades. CBES uses OpenStudio and EnergyPlus to create and run energy models. An extended version CBESPro covers all U.S. climate zones. A new-generation building energy simulation program based on DOE-2 and BLAST, with numerous added capabilities. An optimization program for the minimization of a cost function that is evaluated by an external simulation program, such as EnergyPlus, TRNSYS, SPARK, IDA-ICE, or DOE-2. It has been developed for optimization problems where the cost function is computationally expensive and its derivatives are not available or may not even exist. The Home Energy Saver™ (HES) empowers homeowners and renters to save money, live better, and help the earth by reducing energy use in their homes. HES recommends energy-saving upgrades that are appropriate to the home and make sense for the home's climate and local energy prices. The money invested in these upgrades commonly earns "interest" in the form of energy bill savings, at an annual rate of 20% or more. HES also estimates the home's carbon footprint and shows how much it can be reduced. For professional users, we also offer HESpro and teachers and students can check out Energized Learning. A benchmarking database tool that allows laboratory owners to compare the performance of their laboratory facilities to similar facilities and thereby help identify potential energy cost savings opportunities. A free, open-source library for modeling of building energy and control systems using the equation-based, object-oriented Modelica language. 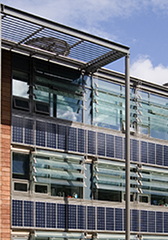 The library enables rapid prototyping of new building systems, development and performance assessment of control algorithms, and analysis of the operation of existing buildings. SEED provides a standard software platform for building energy benchmarking data management, thus lowering the administrative burden for tracking, while also easing data comparison across jurisdictions. RM&V is an open-source application for performing advanced measurement and verification (M&V 2.0) using free R software. RM&V's modeling approach is fully transparent and follows methods published by LBNL. The intent of this package is to help M&V practitioners to perform with a high level of automation for commercial building projects. obXML is an XML schema to standardize representation and exchange of occupant behavior models for building performance simulation. obXML builds upon the DNAS (Drivers-Needs-Actions-Systems) ontology: Drivers represent the environmental factors that stimulate occupants to fulfill a physical, physiological or psychological need. Needs represent the physical and non-physical requirements of the occupant that must be met in order to ensure satisfaction with their environment. Actions are the interactions with systems or activities that occupants can perform to achieve environmental comfort. Systems refer to the equipment or mechanisms within the building with which occupants may interact to restore or maintain environmental comfort. A library of obXML files, representing typical energy-related occupant behavior in buildings, has been developed from the literature. These obXML files can be exchanged between different BPS programs, different applications and different users. obFMU is a modular software component represented in the form of functional mockup unit enabling its use via co-simulation with BPS programs using the standard functional mockup interface. obFMU reads occupant behavior models represented in obXML and functions as a solver. A variety of occupant behaviour models are supported by obFMU, including (1) lighting control based on occupant’s visual comfort need and availability of daylight, (2) comfort temperature setpoint, (3) HVAC system control based on occupant’s thermal comfort needs, (4) plug load control based on occupancy, and (5) windows opening and closing based on indoor and outdoor environmental parameters. obFMU has been used with EnergyPlus and ESP-r via co-simulation to improve modeling of occupant behavior. Radiance is a highly accurate ray-tracing software package that is used to evaluate lighting levels and lighting quality from daylight and electric light in virtually any environment. It provides numerical output as well as high quality, photorealistic images of building environments. 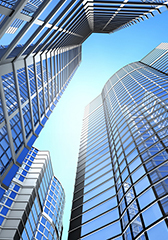 A tool to analyze and optimize facade options for commercial buildings, capabilities include evaluation of: energy consumptin, daylighting, glare, and thermal comfort. Calculates the optical properties of glazing systems composed of multiple glazing layers, laminates, and coatings. Helps consumers and builders pick the most energy-efficient and cost-effective window for a given application, for new homes, additions, or as window replacements. It calculates heating and cooling energy use and associated costs as well as peak heating and cooling demand for specific window products. Used by building component manufacturers, engineers, educators, students, architects, and others interested in heat transfer. It models two-dimensional heat-transfer effects in building components such as windows, walls, foundations, roofs, and doors. It is useful where thermal bridges are of concern. Calculates performance of window and shading systems. It can be used to design and develop new products, teach about heat transfer through windows, and help develop building energy codes. It calculates total window thermal performance indices (i.e. U-values, solar heat gain coefficients, shading coefficients, and visible transmittances) for glazing and framing, as well as thermal and solar optical effects of a wide range of interior, between glass, and exterior shading systems. Reducing Urban Heat Islands: Compendium of Strategies October 2008) describes the causes and impacts of summertime urban heat islands and promotes strategies for lowering temperatures in U.S. communities. It provides an overview of heat islands, how they form, and their impacts, and describes key urban heat island reduction strategies in depth. It also describes voluntary and policy efforts undertaken by state and local governments to mitigate urban heat islands. The Global Cool Cities Alliance (GCCA) has launched a Cool Roofs and Pavements Toolkit to help cities, regions, organizations, and building owners develop and deploy successful cool surface initiatives. The Toolkit is an on-line resource that GCCA will build up over time with targeted tools for a range of audiences. It is being launched with the publication of a primer and implementation guide, which are designed to be helpful to cool surface novices and experienced cool program managers alike. The Heat Island Group demonstrates how to measure solar reflectance using a pyranometer and an albedometer, in accordance with ASTM E1918 precision and bias test. This Microsoft Access database file contains specifications of a multitude of car shell products from various manufacturers around the world. An interactive and comparative map of roof reflectance for 5 California cities (Los Angeles, San Francisco, San Jose, Bakersfield and Long Beach). This was completed as part of a study by Lawrence Berkeley National Laboratory (Berkeley Lab) for the California Air Resources Board. The Lawrence Berkeley National Laboratory Pigment Database describes the solar spectral radiative properties of conventional and cool pigmented coatings. This map illustrates the ratio of mean global horizontal solar irradiance in the winter to that in summer throughout the U.S. The northern mainland U.S. (latitude >= 40N) receives 3 to 5 times as much daily sunlight in summer than in winter, whereas the southern U.S. receives relatively more constant levels of sunlight throughout the year. Map © 2009 Ronnen Levinson, Lawrence Berkeley National Laboratory; based on NREL TMY2 weatherfiles. One way to measure how "cool" a roof can be is by calculating its Solar Reflectance Index (SRI). This index is calculated following ASTM Standard E1980-11 using a roof product's solar reflectance and thermal emittance values. The SRI calculation can also be used to estimate the surface temperature of the roof product under prescribed conditions. High SRI values indicate "cooler" roofing products. To calculate SRI, download the SRI Calculator and enter the solar reflectance value (R) and the thermal emittance value (E) as decimals, then click on "Update SRI". Note: macros must be enabled in Excel. CityBES is a web-based data and computing platform, focusing on energy modeling, benchmarking and performance visualization of a city's building stock to support district or city-scale energy efficiency programs. CityBES uses and international open data standard, CityGML, to represent and exchange 3D city models. CityBES employs CBES to simulate building energy use and calculate savings from energy retrofits. CityBES targets urban planners and developers, city energy managers, building owners, utilities, energy consultants and researchers.